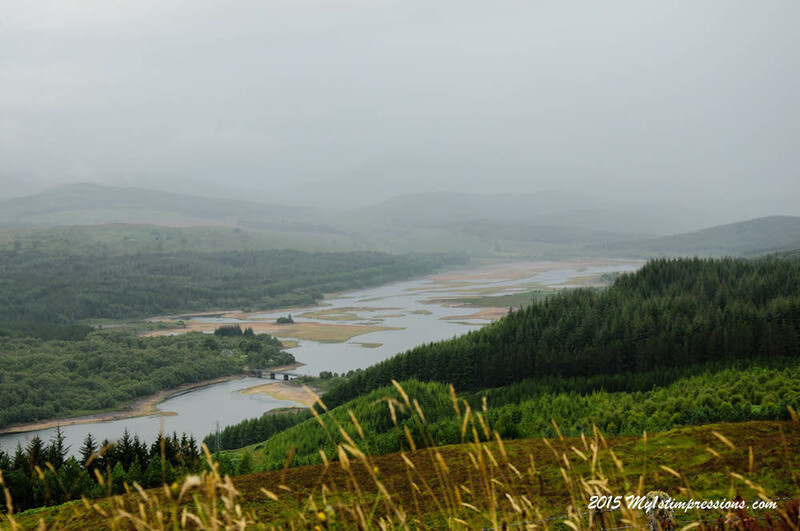 A road trip through Scotland, either by car,by motorbike or even by bus or hitchhiking, is one of the most beautiful experience you can do in Europe in summer. Scotland is one of those countries able to fulfill your imagination with its Gothic corners, your love for nature with its breathtaking natural landscapes and your heart with the warmth of its friendly people. I have been back to Scotland everytime I could in the last 10 years and when I am there I go on a road trip all the times because it is simply impossible to get tired of it. Here it is a list of the top places to visit when there. Edinburgh, the most beautiful town int he world. 1) Edinburgh. It is the most beautiful town in the world. There is no other town in the world that can leave you literally speechless on your 1st impression. When you arrive on Princes Street and looking on your right the Royal Mile opens up, with its great castle castle on top of the hill, you will be falling in love with Edinburgh forever. 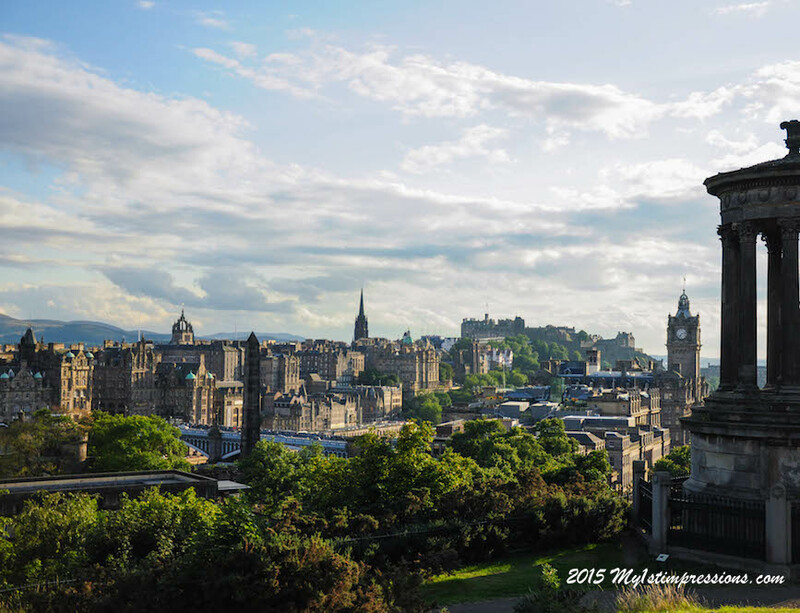 Whether you stay in town for few days or for the rest of your life, the castle of Edinburgh becomes your best friend in town. You can see the castle from every corner in town. You don´t only see the castle, you stare at it, you take loads of photos of it, you sometimes stop walking to look at it once more, in the morning, at sunset, at night. It is always the same and at the same time it keeps changing all the times. It is a presence in town, it is majestic, it is exactly as a castle should look like. there is no castle more beautiful than the Edinburgh castle. And in case there is, it is somewhere in Scotland, anyway. Edinburgh is Gothic. The best moment to enjoy its Gothic beauty is on those chilled early summer mornings, at sunrise, when the fog wraps the old town completely, revealing only its building shapes. On those mornings, Edinburgh looks like the set of a Gothic movie, with ghosts and vampires, spectral and majestic at the same time, it makes you feel like belonging to another era. 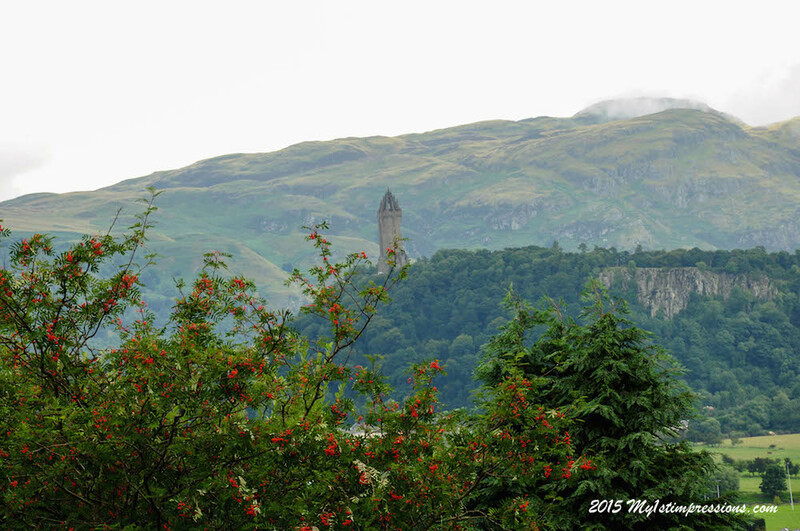 2) William Wallace´s tower, Stirling. If you will be brave enough to manage to leave Edinburgh, next place to visit is definitely Stirling, home of another wonderful castle and of the tower entitled to William Wallace, Scottish hero, Scottish symbol of the fight for freedom of the country, who has become a legend after the movie Braveheart celebrated his life. The tower was built only in the 19th century, on a hill outside the village, in Gothic style, and it hosts an exhibition about William Wallace, with a copy of his real sword. My advice is make it to the top of the tower. Windy and probably rainy up there but you will have an outstanding view of the surrounding valley, where the battles of freedom happened. I love William Wallace´s tower. I like how it appears from the middle of nowhere when you drive towards Stirling. It is like a landmark for those traveling across those lands, and I like how it is visible from everywhere in the valley. Check the details of the outside walls, feel the spirit of Braveheart. Last time I went there, I came out of that place with my brother who wanted to buy a sword before heading home! The most scenic castle of all. A pleasure for the eyes and for the imagination. 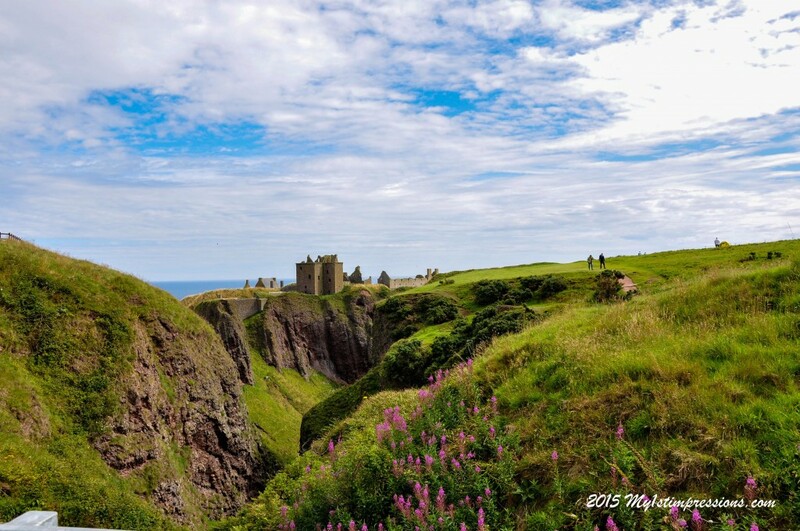 The Dunnottar castle is simply too beautiful to be real. It must have belonged to a fantasy world, when kings were ruling the world and knights were fighting for them. Not too far from Aberdeen, on the North East coast of Scotland, situated on a hill on the top of some step cliffs on the ocean, the Dunnottar castle has the best view and location ever. You need to go all the way down the hill, cross the gorge and then go up again in order to enter it. Entering the ruins has a bit of a time machine taste. In one of the rooms of the castle there is even a fire place. Impossible not to touch those stones and walls and let the imagination go back in time. That´s for the bravest, and for those who have a bit more time to go up North. Scotland is a country of neverending different kinds of beauty.The more you go North and the more the landscape transforms. Trees disappear along the way, and on the deserted sea shores seals can be seen enjoying the remoteness of the place and the sunny days of summer. John´s O´Groat is the last avanpost of the United Kingdom. 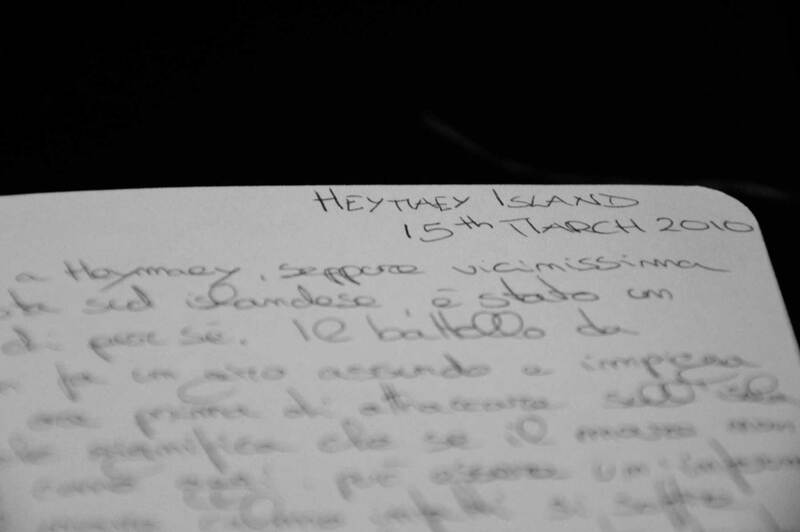 The last house of the island, of the country. It is a very isolated place, where there is not much to do except for sitting there and waiting for the ferry to the Orkneys. Do not despair, from that point on everything is gonna be simply wonderful again. 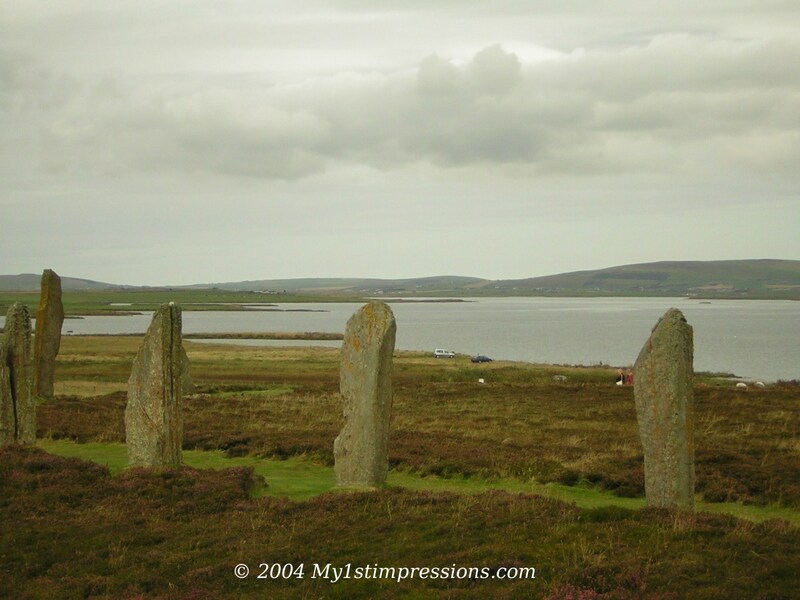 Kirkwall, the capital of the Orkney, will embrace you with its suggestive fishermen atmosphere, in old Norse roots, its stories and legends described in the old sagas of these lands. It is not difficult to imagine why these lands have been inhabited since 4000 B.C., why everybody who passed by their shores ended up planting roots on it, despite the wind, despite the isolation.To be definitely seen outside Kirkwall is the prehistoric site of Skara Brae, a Neolitic settlement, also knows as the best preserved group of pre-historic houses of Europe. Skara brae is impressive like no other place in Europe. The Italian Chapel, constructed in an hangar by some Italian soldiers during the WWII, literally in the middle of nowhere, it is an anthem to the concept of art and beauty despite the horrific time it was built. As soon as you drive in to the Highlands, the time will stop and you will get lost in wonderland. There is no place on the planet that has a better healing power on me than the Highlands..I have been aiming for them everytime I have been sad in life. It is the perfect place to let your sorrows get lost and free your mind from any worries. I have always been looking for a place like the Highlands anywehere else in the world but it is only when I am on those lonely roads surrounded by those foggy mountain picks that my soul seems to finally find the peace it always aims for. I don´t know exactly what is the secret beauty of the Highlands. It ma be that fascinating sense of mystery surrounding the horizon, that wet and humid sense of isolation, the silence wrapping up your soul, the constant dark quietness of its cloudy days. I never remember the Highlands in the sun. I have probably never seen them in the sun. I wonder if the sun ever shines on those lands. The Highlands belong to the landscapes of your soul. We all have a landscape that can describe our soul, the way we are. They, with their moody, cloudy, heavy and silent look describe perfectly mine. I wonder if anyone has ever got tired of this castle. It is probably Scotland´s most famous one, a landmark, an icon, sold and oversold images on all the calendars kinds of calendars about the country, the castles, the nature and so on…and despite this when you see it appearing, after turning one more bend on the road that from the Highlands goes to Skye Isle, you cannot avoid to get astonished by its peaceful beauty. 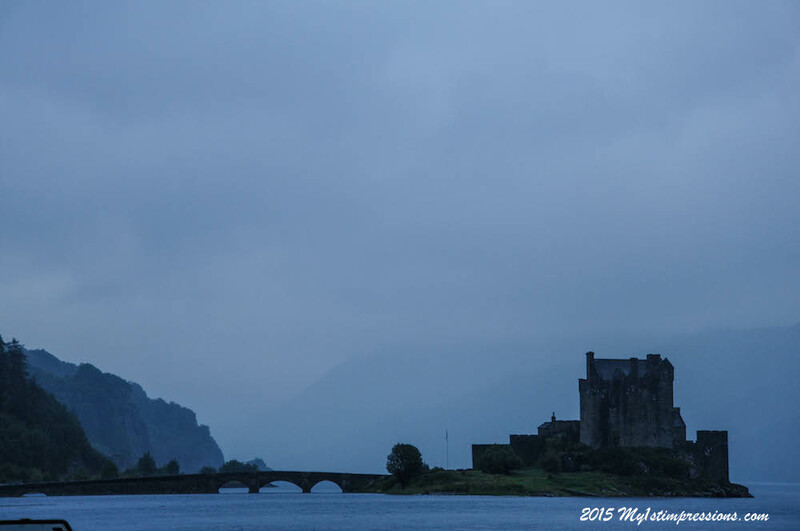 The view of the Eilean Donan Castle is just perfect. The castle stands lonely on a tiny island in the middle of a lake, and it is linked to the mainland by a small bridge built with rocks. Inside the castle has gone under reconstruction, so there is not much to see, but from outside you can sit in front of it for hours and let your dreams and imagination run away. The view of the castle is gorgeous from all sides of the road and in any weather conditions. It is the best way to leave the main Scottish land and enter int he magic world of Skye. The most beautiful part of Scotland, the one that makes you fall in love with this country forever. Skye Isle is exactly how you have always pictured the Celtic world, with fairy tale lands, cliffs, solitary lighthouses and much more. Millions of sheep will accompany your tour of the islands, staring at you and at your steps wherever you go, completing the view of those sweet lands with their fluffy presence around. 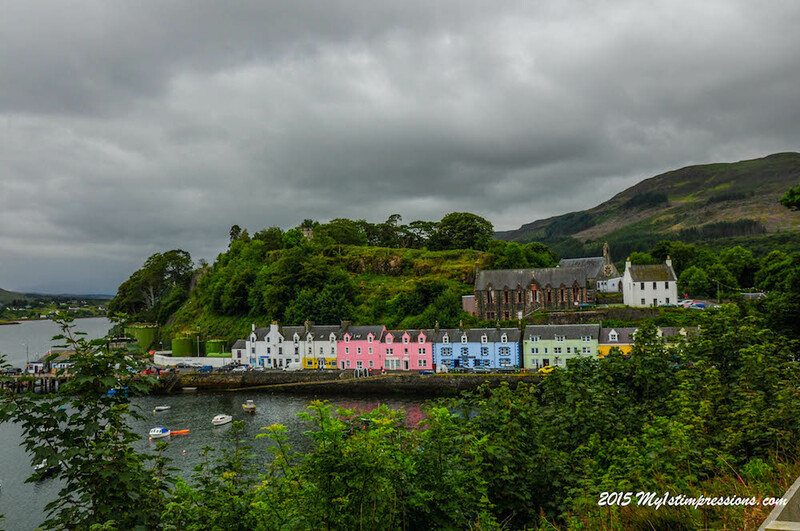 Portree, the capital, is the most beautiful tiny capital in the world, a jewel of beauty and perfection. Hidden by the rest of the world, its coloured walls on the bay will welcome you joyfully despite the cloudy sky. It will make you feel not only at home but also with the desire to live there forever. A visit at the Talisker whiskey distillery is not only a must but it will cheer up your soul and your mind, will make you feel in love with the country and will give you another inside of the national drink. The most westerly tip of Skye, the most beautiful corner of Scotland. My favourite. Getting to Neist Point is already an adventure itself. The road to get there is so tiny and narrow that only one car at a time can drive through it. On the side of the road, there are parking spots basically every 100 mts, allowing you or the other driver to stop there when one of the two has to pass. And of course you share the road with many sheep around, so it can easily happen you will have to stop and wait while they decide whether to cross or not. 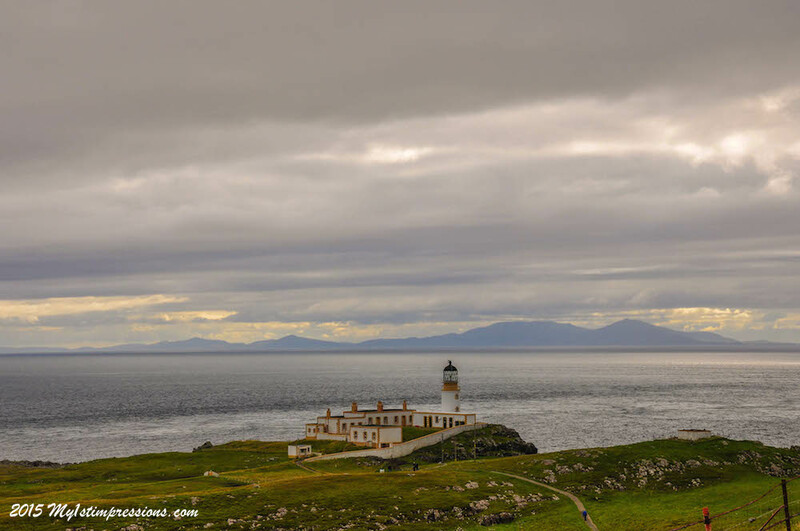 In the meanwhile you can enjoy the surrounding, which is stunning, and get ready to the view once you get to Neist Point. There, a beautiful lighthouse building stands silently and majestically on top of green hills, overlooking the ocean. The cliffs of Neist Point are great for bird watching even though at the end the best thing to do is jus tot sit on them and enjoy the beauty around, until sunset. Many will tell you Oban is not the nicest place of Scotland, but despite all the bad things heard about it, I love Oban. Oban has none of the charm of Edinburgh or Inverness but it is captivating and I always keep it as a good place to end every road trip in Scotland I have done in life. On a sunny summer day, the sea of Oban becomes so blue that it is almost impossible to even believe you are in the North of Europe. The view from the fake colosseum on top of the hill dominating the town is simply stunning, and on the way down it is a pleasure to see how the town slowly appears in from of you, with its peaceful but busy daily life. There is no better way to end up a road trip in Scotland than stopping at Oban and have a tour at the local whiskey distillery, where the Oban whiskey, one of my favorites, gets produced. For those who love whiskey entering the Oban distillery is like entering a temple where you get to know how one of the best whiskey of Scotland is made, with the possibility to sip it and learn everything about it. 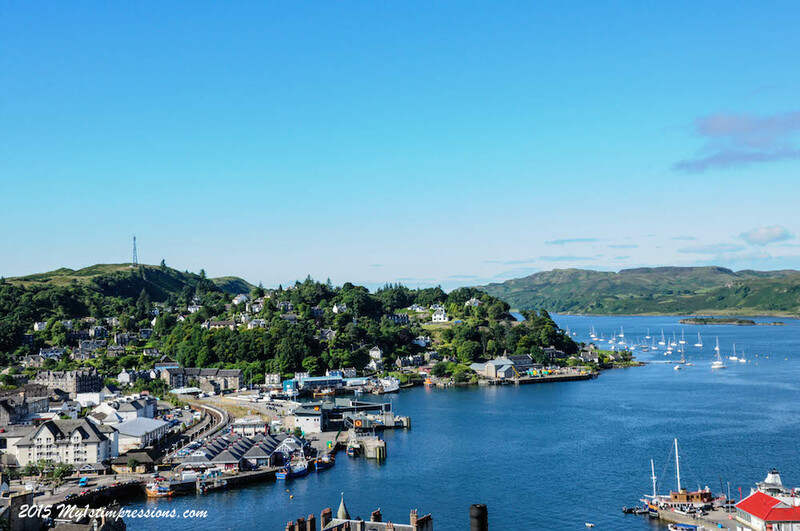 After having crossed the entire country, in Oban you always get the feeling you can take a rest, that the best and wildest part of this magic Scotland is laying back behind you, you can enjoy a sunny afternoon at the harbor contemplating the beauty you have seen on the road. Oban is the best place to do that. it is probably there you will promise yourself to be back to Scotland again. One of the most remote, unknown and definitely beautiful valleys of Scotland is the Glen Lyon. Finding yourself driving on the road surrounded by sweet hills adorned with flowers is a pleasure for the eyes and a smile for the soul to. Someone will tell you it is probably the most beautiful valley in the world, and it can be possibly true. The view is simply spectacular and among those gentle hills there is a secret ancient being kept protected by the woods around: the Fortngall yew, one of the oldest trees in the world, probably 4000 years old. 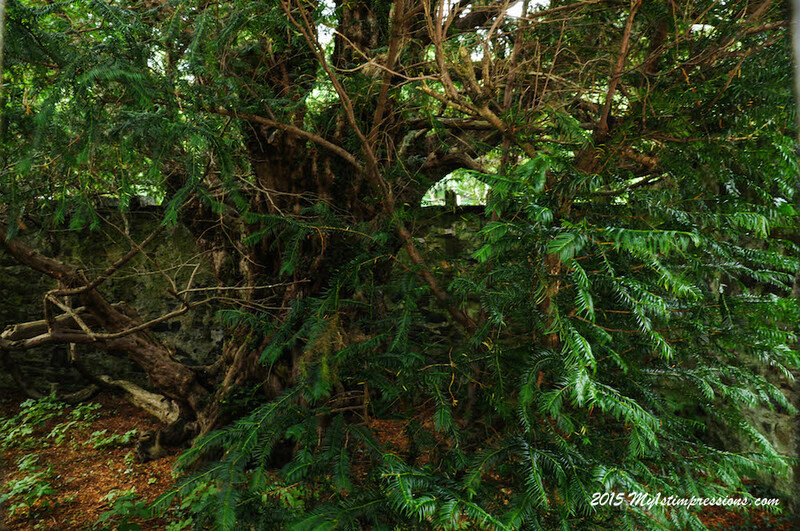 The yew is in the garden of the tiny church of Fortingall. Around it there are some stones that sign the main dates of human history, and it is impressive to see where it stands back in time compared to our world, how old he already was when our story began. Standing in front of it feels like standing in front of a titan, an ancient creature who managed to make it safe through ages, who has seen the world changing and has survived it, an ancient being to be protected now in the hope he will live forever. The real, last Highlander of these lands.